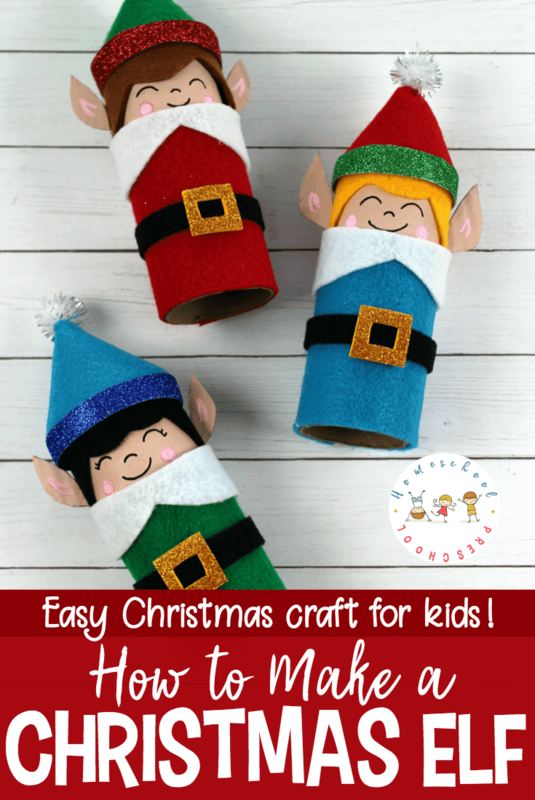 Are you looking for a super simple craft to do with your little ones this Christmas? 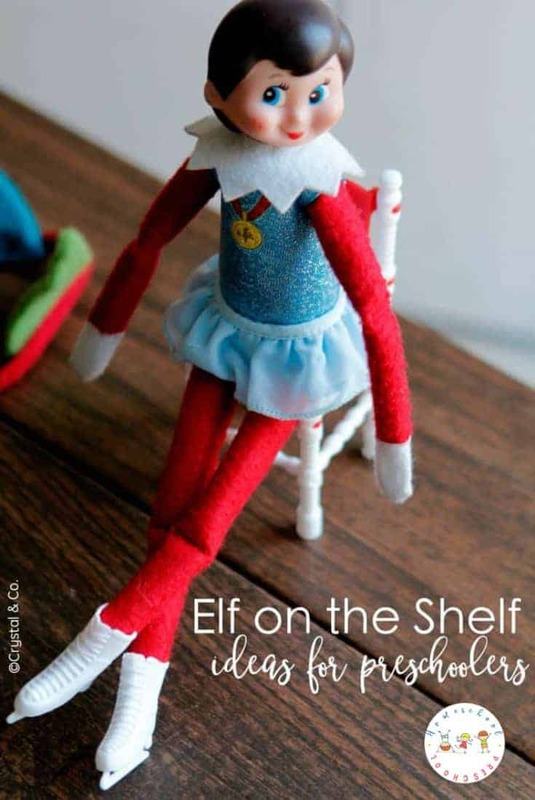 Check out this cute elf craft that is simple enough for tots and preschoolers. 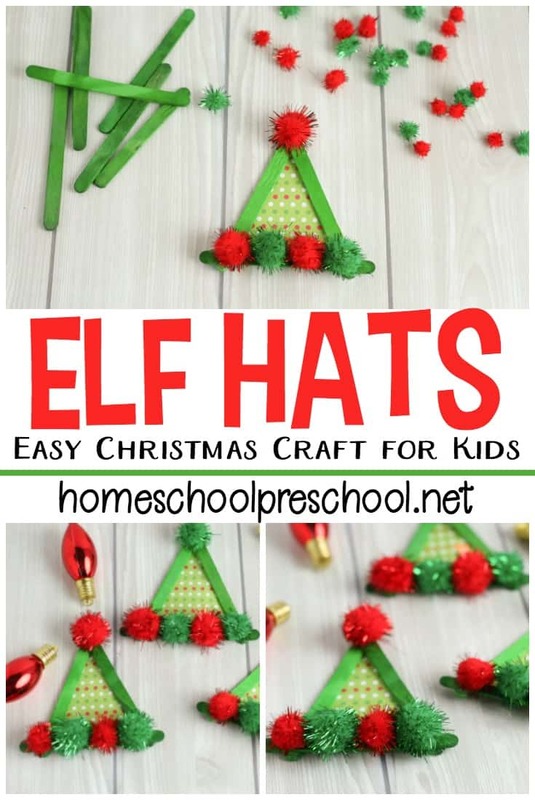 These cute elf hats are perfect for little hands. They would make great place settings for Christmas breakfast. 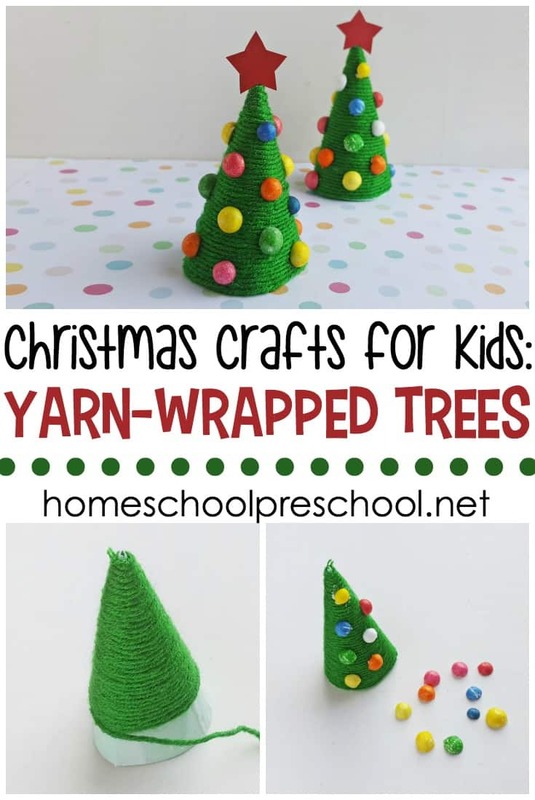 You could add a ribbon loop and hang them on the tree. Or, stick a magnet on the back and put it on the fridge. You won’t need many supplies to get this craft started with your little ones. 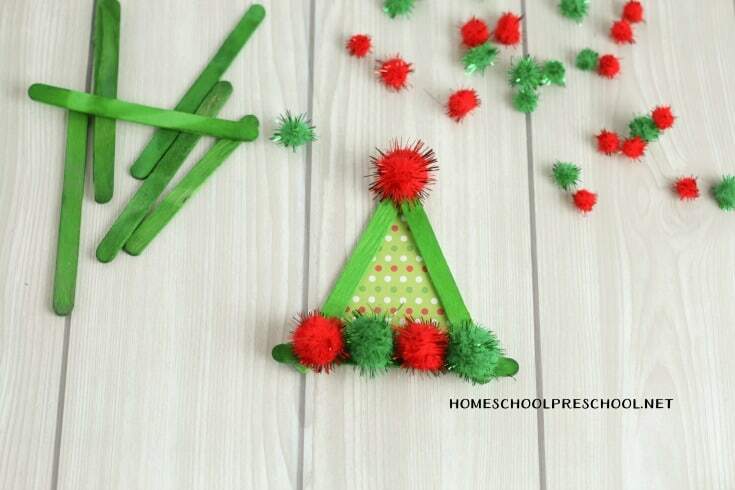 Just gather some green craft sticks, red and green pom poms, and some Christmas scrapbook paper. If you don’t have green craft sticks, you could have your preschoolers paint regular craft sticks green. And, you can use construction paper or wrapping paper instead of scrapbook paper if you don’t have any in your craft stash. No pom noms? No problem. Use buttons. 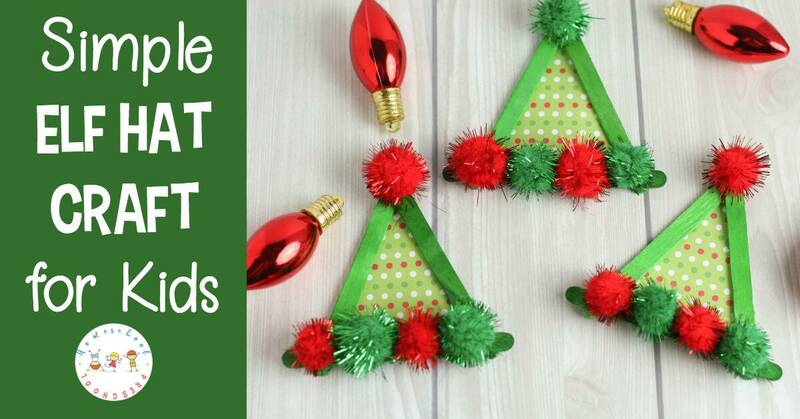 This craft is super versatile, and will look great no matter how your kids put it together. 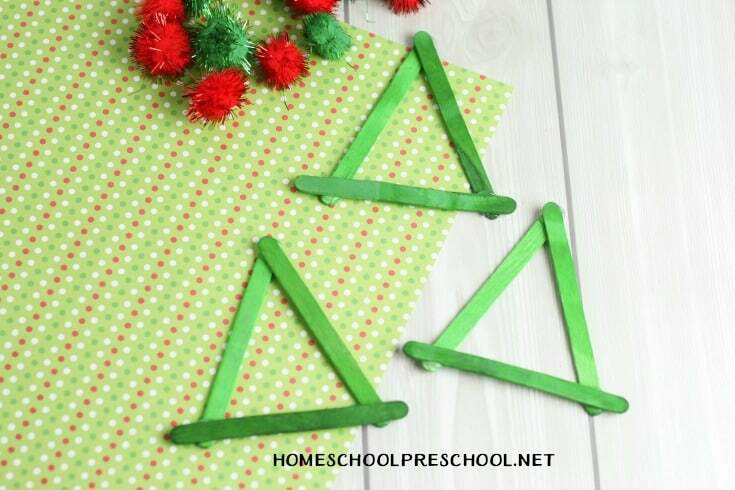 To start this craft, make a triangle shape with three green popsicle sticks. Glue each stick together at its end. This is a great time to talk to your little one about triangles. Can they name other things that are triangle shaped? Trace the triangle shape onto the patterned paper. 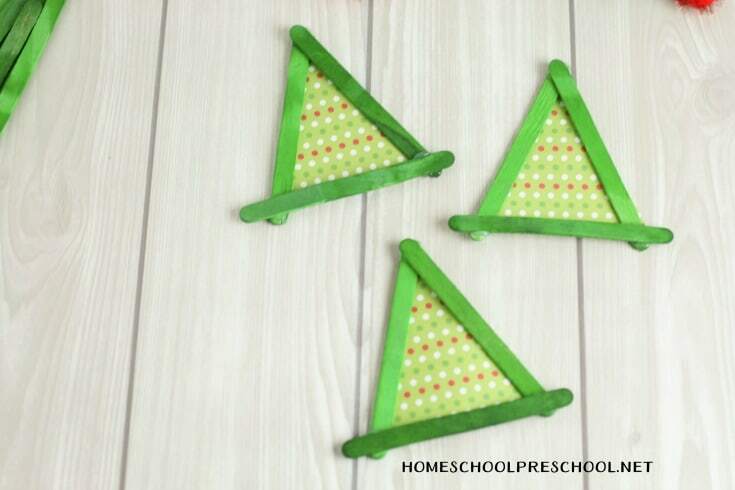 Cut the triangle out, and glue it onto the back of the popsicle sticks with the patterned side showing through the center of the craft sticks. Glue red and green pom-poms (or buttons) along the bottom of the triangle, alternating between red and green. Glue a final pom-pom on the top of the triangle. To make an ornament, create a loop with a piece of string and attach to the back top of the hat. Add these fun books and activities to your crafting time. You can find these items at your local department store, or you can order them from Amazon by clicking on the images below.